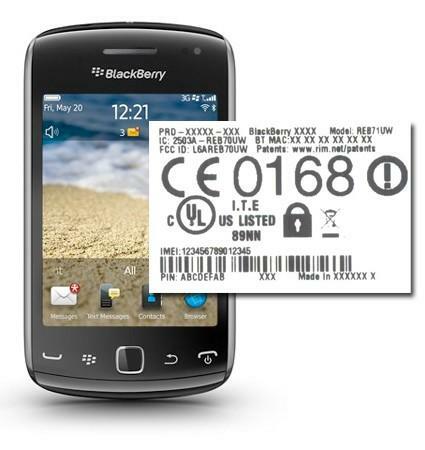 The FCC has just given us our first “glimpse” at another upcoming Blackberry possibly bound for T-Mobile store shelves in the form of the Blackberry Curve 9380. RIM’s first all-screen Curve has revealed itself with support for WCDMA band IV, the band we love seeing noted in FCC passings as that indicates compatibility with T-Mobile’s 3G 4G networks. We hope that if this does in fact come to T-Mobile store shelves, it arrives with a better price tag than the most recent Blackberry additions to T-Mobile’s lineup. The Blackberry Curve models have typically arrived well priced on the T-Mobile network and we hope the addition of the Blackberry Curve 9380 allows that tradition to continue. ← AT&T To Offer Major Concessions To Salvage T-Mobile Deal? Verizon had this phone for a few month’s already tmo is getting pretty slack this should’ve been out a long time ago what’s up with that. Not that I really want one I’m still happy with my hd 2 for now ics will be stable very soon. Can’t wait. Sorry Rush8220, but Verizon does not have the Blackberry Curve 9380 yet. Do your research. Sweet! I’ve always loved Blackberry Curve phones! I love how T-Mobile is getting slick phones this time around. Prepping for the aftermath of FailT&T not taking over for sure! 4 new Blackberries only one new WP. smdh @ T-Mobile. Screw Windows Phone. Its bad enough we have to deal with ifanatics and android nutjobs now wp fanboys are adding to the great mobile wars. Woe is blackberry. It’s about time Rim did something. next year will be even better the SGSIII, and Rim going to a new OS with some superphones……..Exciting times. Cool Beans! I can’t wait for this! This will definitely be my new phone next update. As a company T-Mobile ALWAYS charges the customer less than they pay for a phone. If the phone is 400 off the shelf T-Mobile probably paid 600 for it. Sometimes the manufacturer requires the company charge what they say. Way to little way to late. Now the reports are saying qnx phones wont come until the 2nd quarter next year at the earliest. Companies like rim and nokia got complacent and arrogant with their positions at the top a few years back and quit innovaring and this is where we are now. Blackberry has to have more than bbm and great email to be relevant again. I’m using android right now but i’ll give rim 1 more chance when they drop their qnx smartphones. The smartphone race needs rim to be successful. Thats jyst my opinion though. I hope this comes out soon. I have a BB curve now that’s already over 2 years old. Replaced the battery once. I’ve been wanting to get a touchscreen but I have not been impressed with what Tmobile has to offer. Don’t know how much longer my BB is going to keep chugging along. I would have bought this 2 years ago, but not now. Too late RIM.